Transit Choices formed work groups around each mode of transit (Rail Transit, Buses and Circulators, Water Taxi, Biking, Pedestrian) and charged these groups with two tasks. Develop a “Quick Hits” list of low cost, high visibility and high impact improvements to our transit system. Develop plans for longer term improvements to transit infrastructure that would result in an integrated, effective and efficient transit system. The list of “Quick Hits” for each mode follows. The work groups are presently engaged in developing plans for longer term improvements. Click here to download the Quick Hits booklet (PDF). Install comprehensive and clear maps and signage at all stops and brand transit vehicles by color-code. Install bike share and car share at all stops. Implement express light rail lines and increase service during downtown events in frequency and duration. Ensure full implementation of signal priority. Install WiFi on light rail and in underground metro stations. Enhanced maps accessible both physically and electronically. GPS tracking for real-time data. Require fixed-route public transit providers to publish schedule data using General Transit Feed Specification. Improve bus rider experience with clear road markings, resurfacing, and enhanced lighting. Build Downtown Baltimore Bicycle Network. 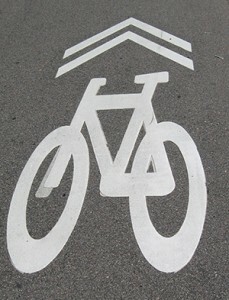 BCDOT staff educated on bicycle planning and engineering. Enhance public access to transportation planning and resurfacing documents and data. More bike racks and corrals and web-based bicycle rack requests. City-wide adoption of a Complete Streets policy. Improve streetscaping around Penn Station. Eradicate rush hour traffic lanes.